On January 16th, ONE’s President and CEO, Michael Elliott, participated in a Twitter chat with members – answering their questions about his new essay in TIME, “The Age of Miracles,” and the opportunity 2015 presents for the global development community. Together, we can do more to. 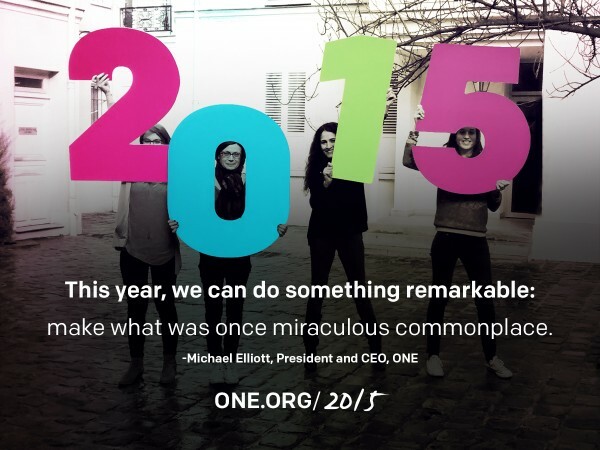 Join us at one.org/2015 to make your pledge to demand a better world.